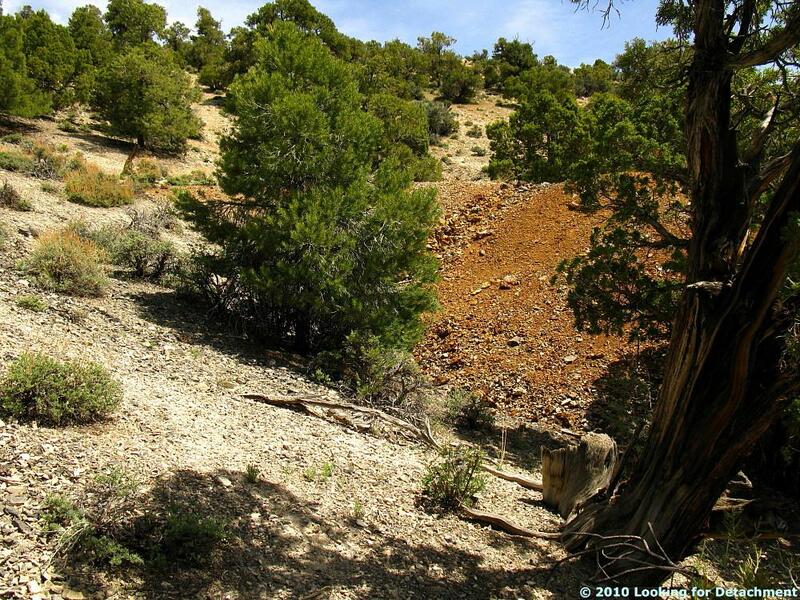 ...we'd run right below this old mine dump kind of sprawled across the terrain, with large piñon and juniper trees growing around it and small piñon, sagebrush, and ephedra growing on it. I suspect the trail is partly an old miner's or mule trail put in to access the small mine. At the base of the dump lie a few pieces of metal. The metal bars are flat and elongate, with drilled holes at some undefined or irregular spacing. I have no idea what these were used for. 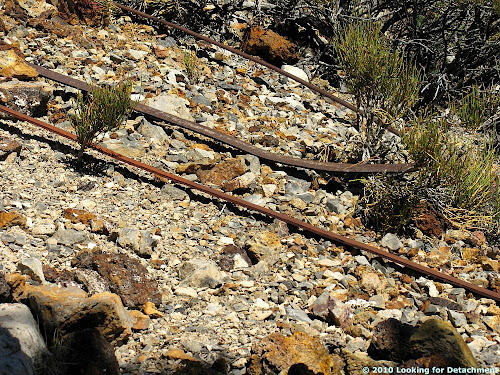 At first I thought they had something to do with an old rail-and-cart mining system, but closer examination shows they are too flat to be regular track of any sort. 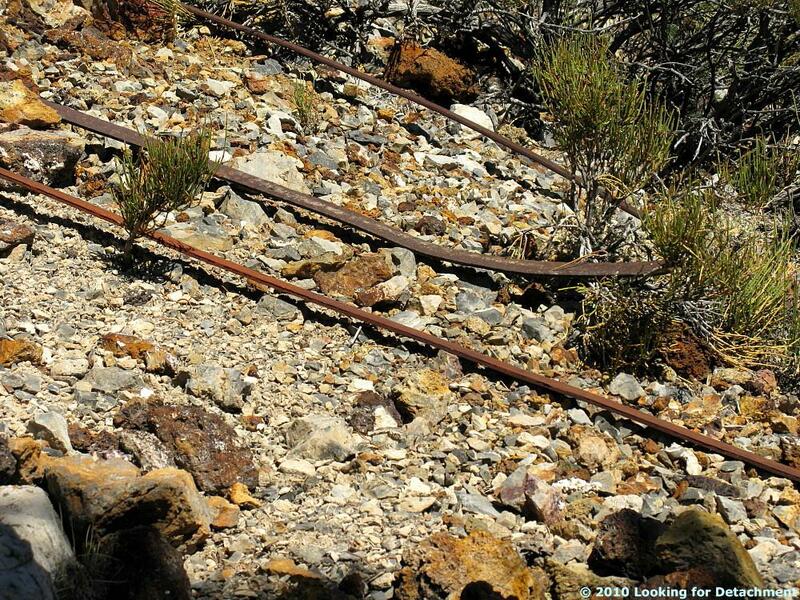 UPDATE 31Mar2013: The metal bars may be pieces of "strap rail," which would have been attached to wood to create an inexpensive rail system. 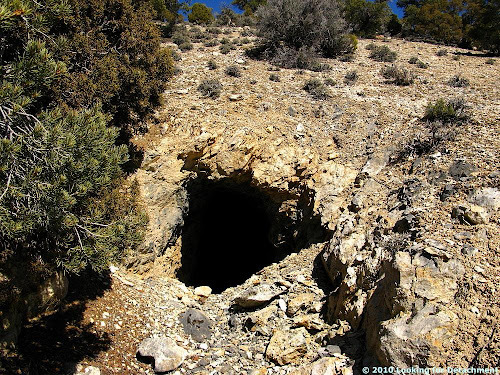 H/t Guy Starbuck in the comments below; be sure to check out his fine website and blog, Starbuck's Exploring | Exploring historic mine camps and petroglyph sites of the Southwest. ...and peters out into a somewhat slumpy area of soft talus. We usually continue up to the top of the hill from here on a poorly defined trail, but today, let's go examine the top of the dump. 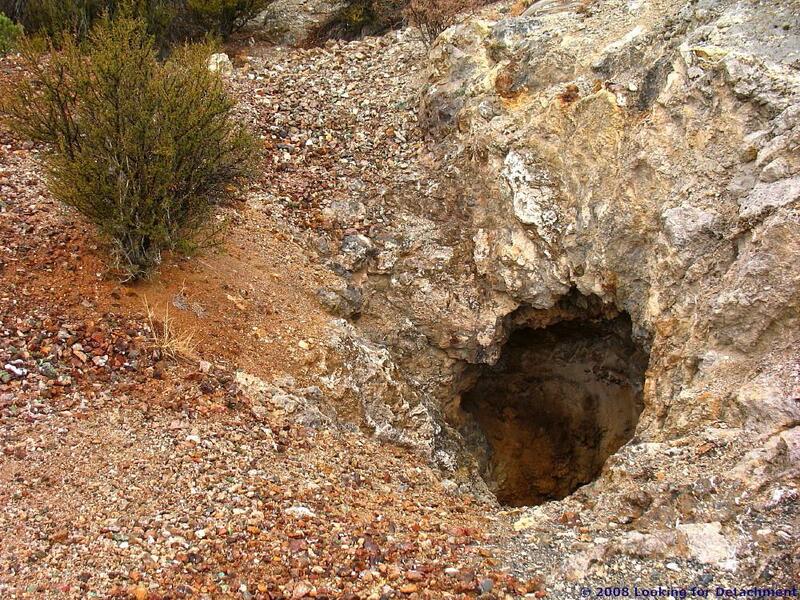 A small opening at the top of the mine dump goes into limestone bedrock. Let's look a little closer! ...we see one of those mysterious pieces of metal [see update above] sticking out from limestone debris lying on the sill (what a layman might call the "floor"). Not sure what this writing is all about. The iron bar points down the adit. In the back and upper ribs of the adit ("top" and "sides"), a darker, less oxidized limestone can be distinguished from a lower, yellowish orange limestone. This contact would be mappable underground only where it crosses the right rib at waist level, which it might right near the adit portal. Using the flash of my camera, we can see that the adit continues quite a ways into the hillside. Looking over the edge, we see the metal bars [strap rail?] at the base of the dump. Shall we go back down? I don't remember if this was a great boot-skiing dump. I think I went around the side to get back to the bottom. Three metal bars in the sun. Closer view: metal bars and ephedra. Looking back toward the metal bars, we decide to hike back down the hill. "The briefest description of waste rock dumps is from Western Australia—all you need to know in two pages. [May not be original link; also condensed here to one page.] The most comprehensive description of a waste rock dump is in the EduMine course Design and Operation of Large Waste Dumps. In practice no definition is needed; simply see the picture on the front page of this review." 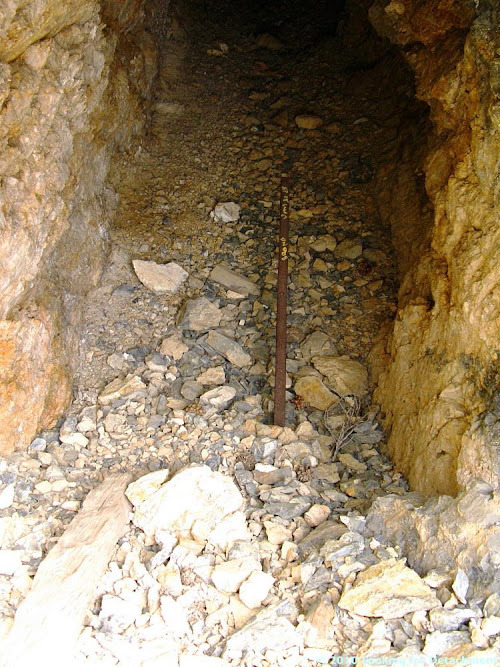 A mine dump, or waste rock dump, by definition consists of waste rock from a mine — whether it be an underground or surface mine — that has been dumped somewhere, usually quite close to the mine, sometimes even inside a surface or underground mine, so as to minimize motorized or track haulage costs. 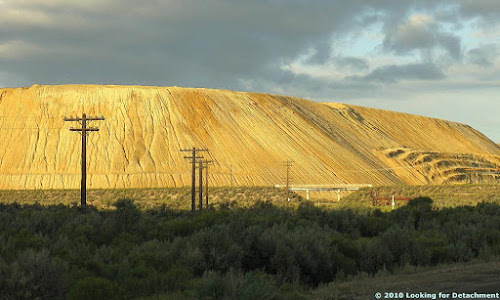 A heap leach pile (or leach pile or heap) is not a mine dump: the rock consists of ore that is (or was at some time) being processed by some form of leaching. A leach pile sits on a leach pad liner, and can't be moved without placing it on another liner (environmental requirements). Tailings should not be called mine dumps, either: they are the tails that have come out the back end of the ore processing plant; the heads went in the front end. Tailings (or tails) were once ore, not waste, or they wouldn't have gone into the mill for milling and then processing. They are usually found behind tailings dams (although not always). Tailings shouldn't really contain any ore, but sometimes — perhaps if the mill or recovery plant isn't operating properly or if the ore going into it is of an unexpected or unusual character — some amounts of the ore mineral may get through to form ore-bearing lenses behind the tailings dam. Sometimes — usually in the future when (if) the price has gone up, unless your mill is currently letting through too much unprocessed mineral all the time (therefore right now and also in the future) — the entire tailings mass may comprise a low-grade ore deposit. Many tailings deposits have been sampled or drilled as potential ore. 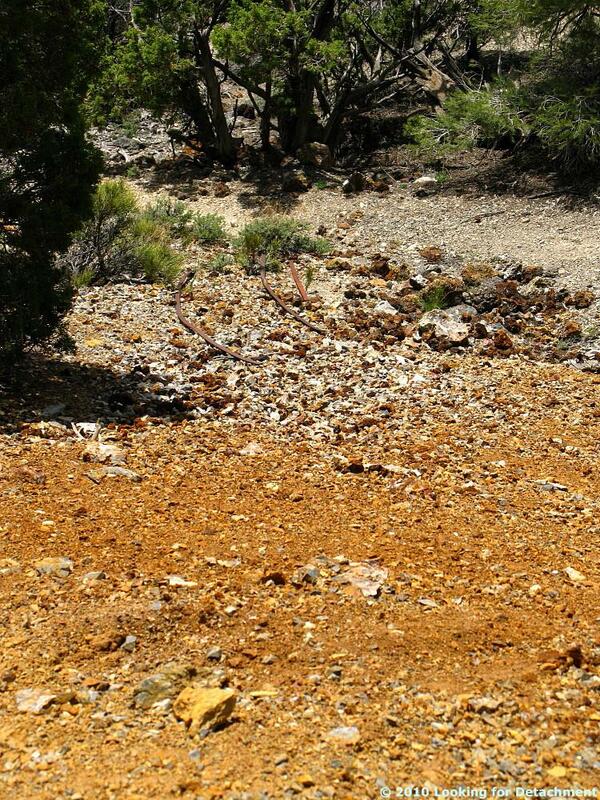 Tails near Kalgoorlie have been mined; Eldorado Gold plans reprocessing of tailings at its Olympias, Greece, project. 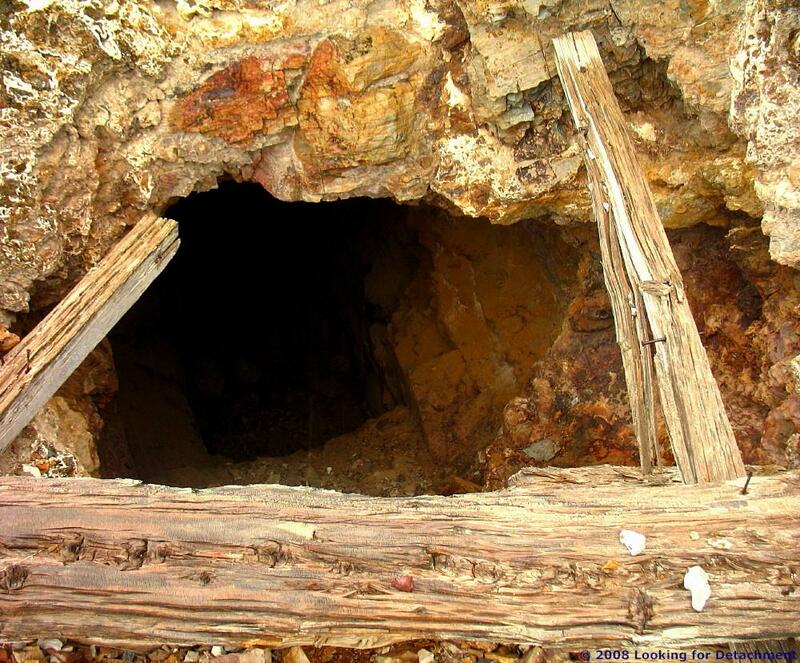 Mine dump inside old, inactive open pit. 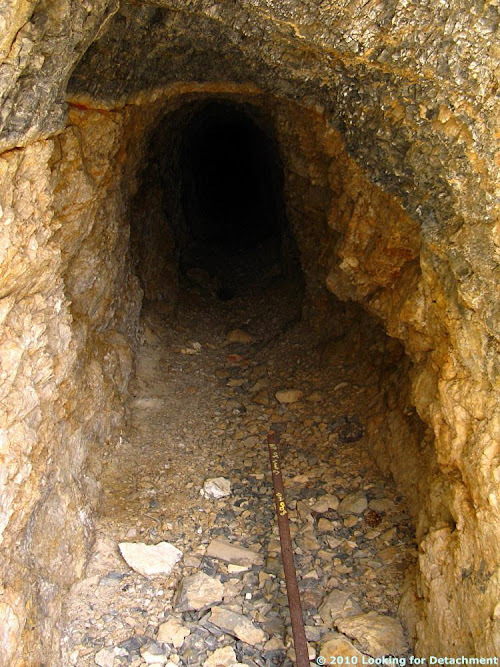 Many mines stockpile various kinds of ore, often ore that is in an intermediate low-grade category below one cutoff grade and above an absolute minimum cutoff grade. 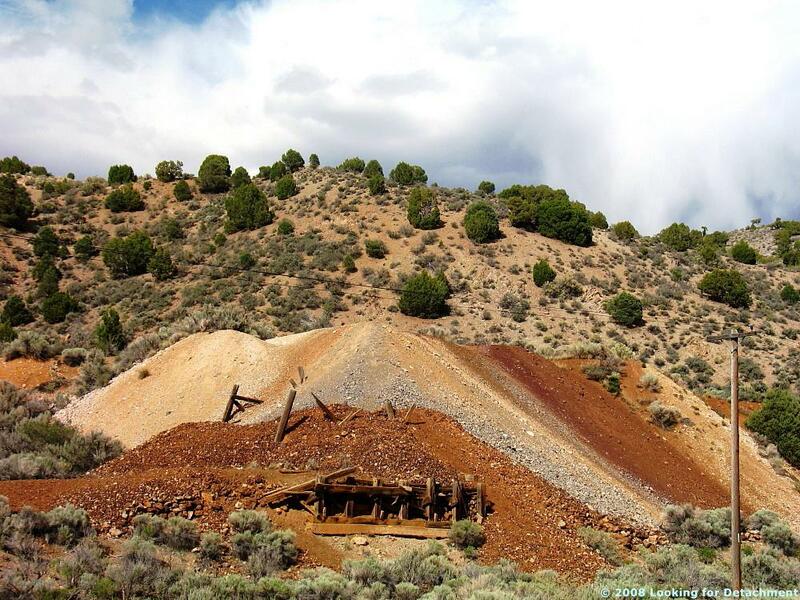 For these "low-grade" stockpiles, the plan is to process them through the mill or on a heap leach pad at some later date, either when (if) the price goes up or toward the end of the mine when many up-front mining and processing costs have been paid off. 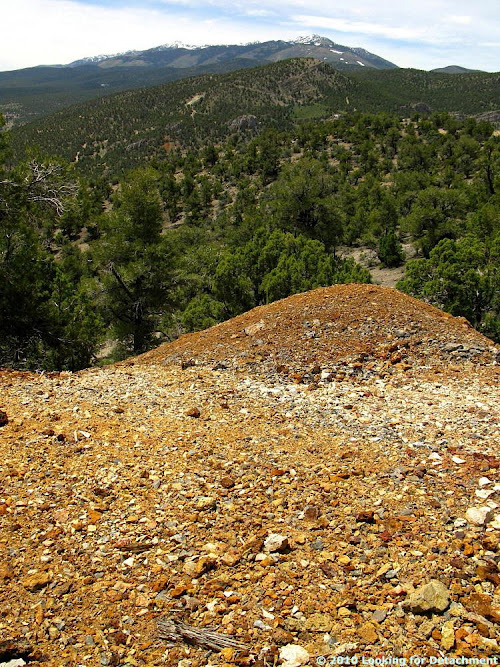 Sometimes these stockpiles become waste (and therefore become part of a larger mine dump or waste pile) simply because they don't get mined: the price doesn't go up, or end-of-mine costs aren't low enough to make them worth re-hauling, or mining is shut down for whatever reason before the low-grade stockpiles are processed. Other types of ore stockpiles include those made of high-grade ore or some particular type of ore that is recalcitrant to your usual processing. 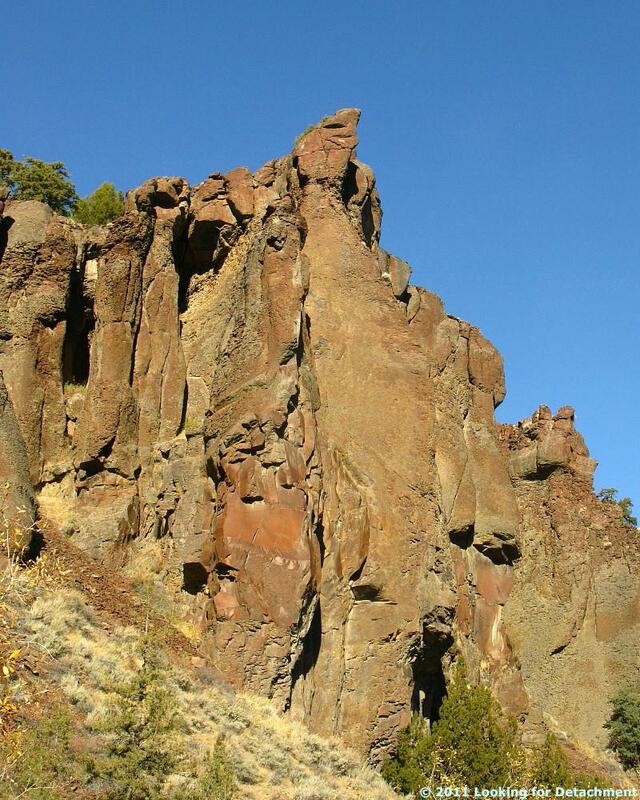 These piles may require special processing or blending with other types or grades of ore. 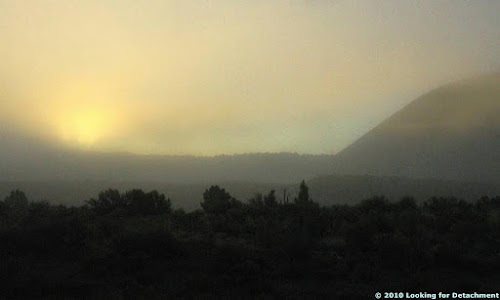 Mine dump in fog at sunrise. 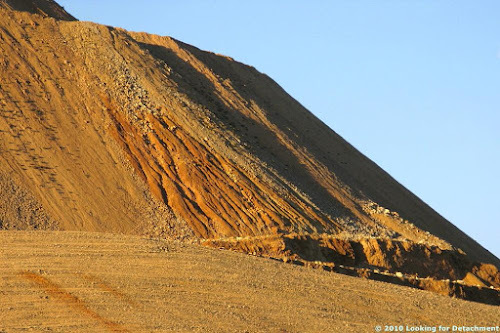 Waste on mine dumps can become ore at a later date if mining and milling technologies improve or if the price of the commodity of interest goes up. Material on leach pads theoretically becomes non-ore as the metals of interest are leached out, but again, the material is subject to future price and technology changes, and leach pads fail to produce sometimes, leaving the original metals intact or partly intact (it could be argued that the leach piles with unfavorable recovery rates were technically not ore in the first place). 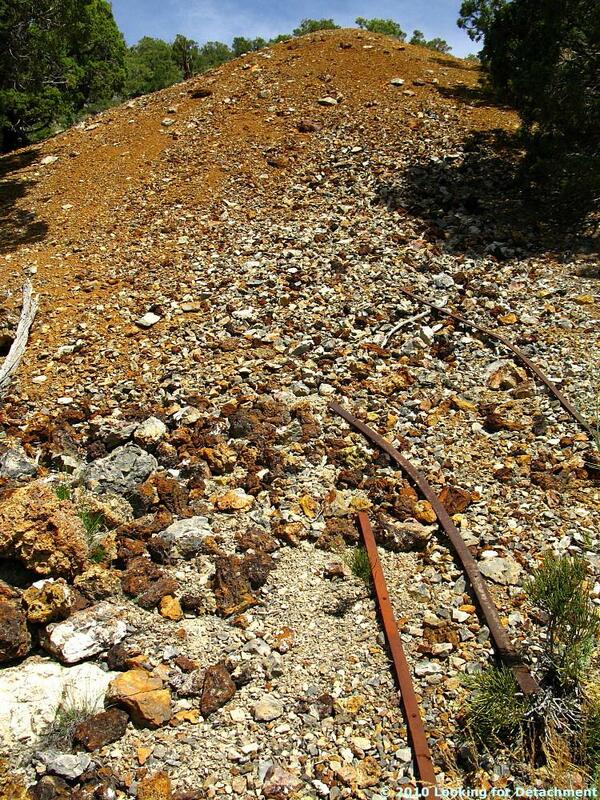 I suppose that one could argue that the material on already leached pads is now waste rock, and therefore the old leach pile is a mine dump, but as I mentioned before, the pile is probably on a liner, and it therefore has to be handled differently from any other piles of rock around the now inactive mine. One could also, perhaps, argue that the tails or tailings are now waste and therefore a mine dump, but I cringe at this idea, because there really is a specific name for that material: tails or tailings. Tails can become ore after their creation if mining technologies improve or if the prices of commodities contained within go up. One hopes that a mill isn't putting too much metal out in the tails; that usually implies a poor recovery rate, and poor recovery rates are usually unfavorable to profitable mining. And mining has to be profitable, or the individual mine owner or individual miner (yes, there are a few), the mining company, or the shareholders of a mining company would be better off putting their money into a bank or a mattress instead of investing in the mine. Most of the mine dumps I see out and about are waste piles and dumps near an old working: a shaft, decline, adit, glory hole, or other old and inactive complex. When I'm working at or near an active mine, I can usually recognize the mine dumps because the haul trucks are actively dumping loads of waste. It can, however, be difficult to look at any given mine and know which piles of rock are currently in the waste or ore category. I do get tired of hearing every single pile of rock near a mine being called a mine dump. While out wandering around here and there in Nevada, and other places throughout the west, you might run across mine dumps and associated various holes in the ground — adits, shafts, declines, and other irregular openings — put in, usually, by old-style prospectors and small or individual miners. Small irregular opening with small mine dump. 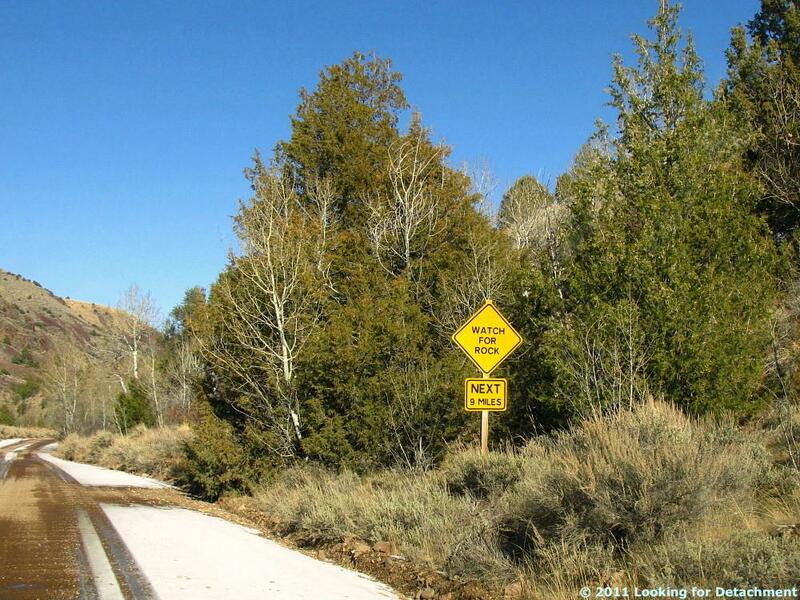 Larger mine dump: Let's go see what's there! It's a small shaft with old timber as shoring. 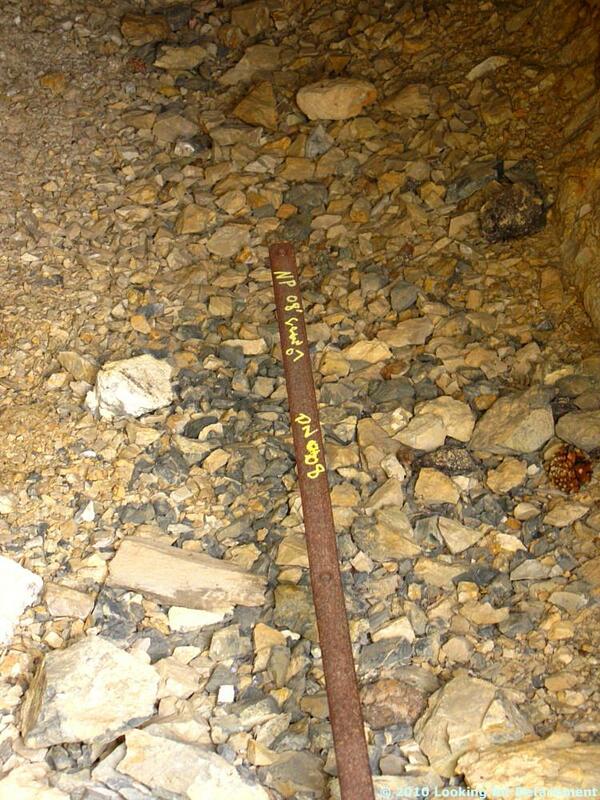 The round-headed wire nails suggest that this is a relatively recent shaft: probably post-1910. Openings like this are, nowadays, often blocked off with chain-link fencing or other barricades, which is a fine thing for preventing random people from falling or driving in — often those who happen to be wandering around after dark, or who might be driving across the hills without a good idea of where they are (an old mining district), where they are going (cross country where there isn't a road), or what they are doing (possibly out for so-called fun after a couple beers) — but they make it difficult for people like me to figure out what the old-timers were digging on, and why, and can prevent sampling the rock, vein, or structure to determine its geochemistry. Barricades can also prevent me from going into accessible adits for sampling and underground geologic mapping, and can prevent or at least hinder other geologists with the know-how and right equipment from going down shafts for sampling and geologic reconnaissance or mapping. This particular hole was unbarricaded. Beyond the timber and the rock overhang, the small shaft appears to end only a few feet below the surface, although my photo doesn't show whether an underground drift takes off from the area hidden by the rock at the opening. Enlarging the photo reveals several narrow, parallel white lines across the photo that make it clear that it was raining that day. Enlargement also suggests that a drift does take off from the far side of the shaft, as does the relatively large size of the associated mine dump (second photo). You always have to ask this question: What were the old-timers digging on? A few, narrow, high-angle fractures or structures can be seen above the first irregular opening or adit. Iron-staining and possible veining (silica? calcite?) 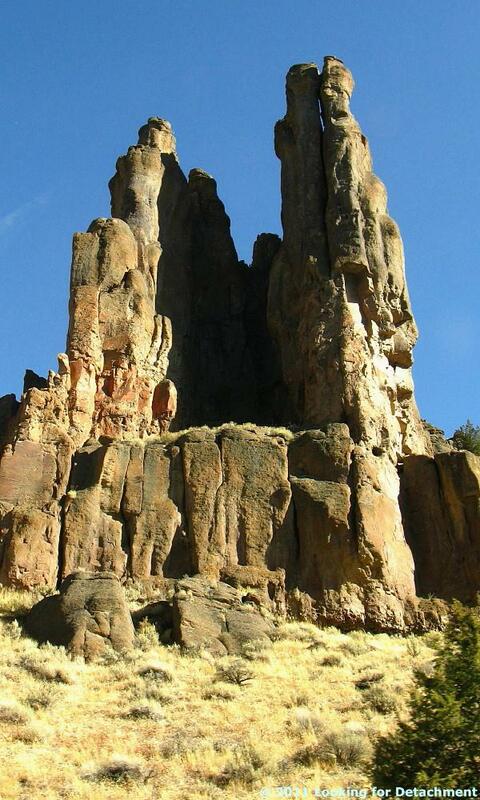 can be seen in the rock at the shaft. Did they mine anything? Hard to say without doing a little more research into the area or more work in the field. More hoodoo sentinels, with small arch. Finally, a place to sit down? 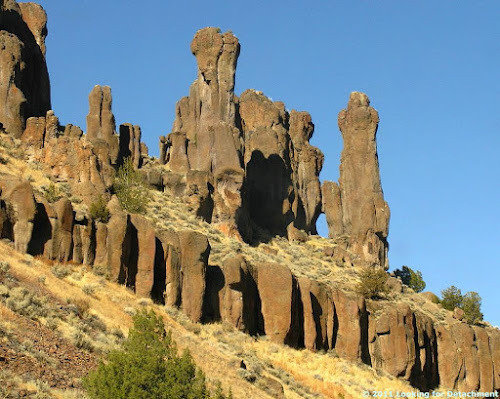 Read a little more about these particular hoodoos here. This article was originally posted at the soon-to-be-defunct Posterous.com site, Pathological Geomorphology, and was transferred here (thanks Kyle!) to the active Pathological Geomorphology (Tumblr). My original post was a response and addition to Callan's Blackhawk landslide post on Posterous, which is now here on the Tumblr site. I've transferred the original photos, added captions, and added a Google Maps location link at the bottom. I've added the original comments (with soon-to-be-dead links to Posterous) at the bottom. Also see this related post here on LFD. 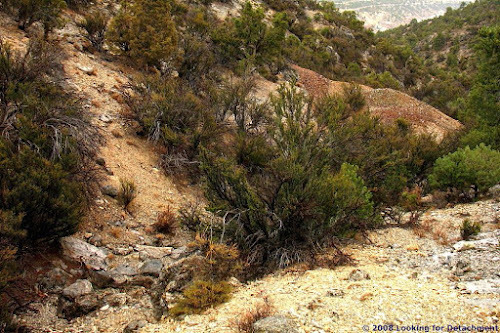 I'm posting a few additional views of the Blackhawk Landslide in California, to emphasize the truly pathological geomorphology of the area. 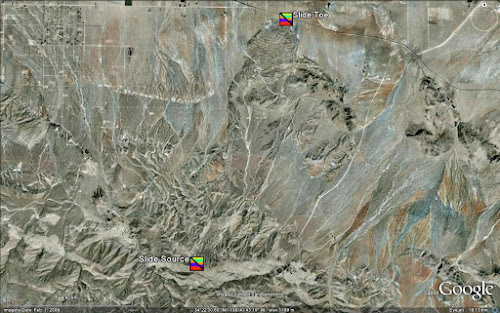 In the views showing slide toe and slide source, I've moved the source area farther into the mountain from the original given by San Diego State [dead (kmz) link originally sourced here]. I've done this based on prior knowledge and published maps. 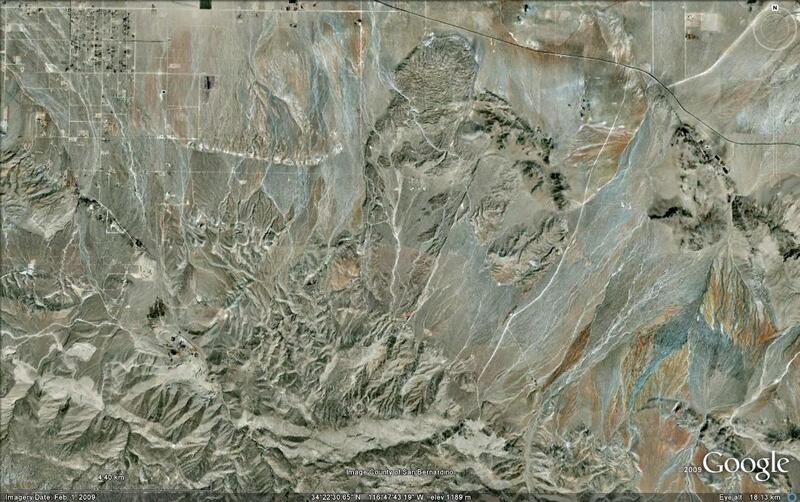 Basically, the entire steep northern face of Blackhawk Mountain is the slide source area. Google Earth view showing the slide source and slide toe. 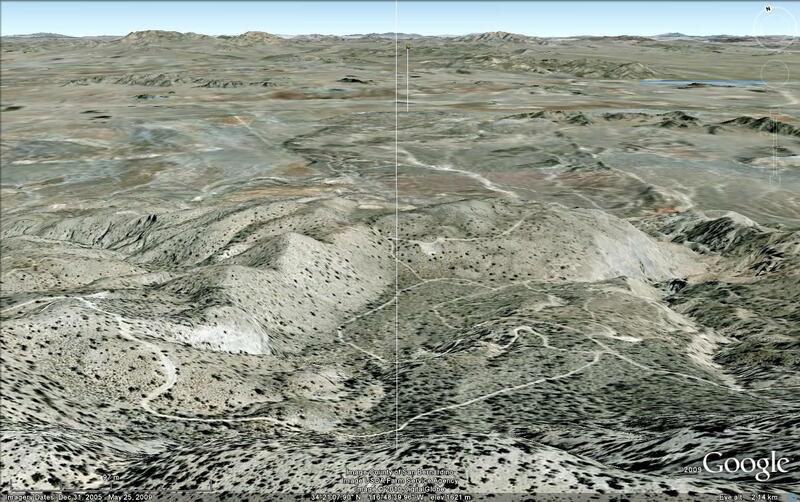 Google Earth view looking from above the toe toward the source. Google Earth view looking from above the source toward the toe. 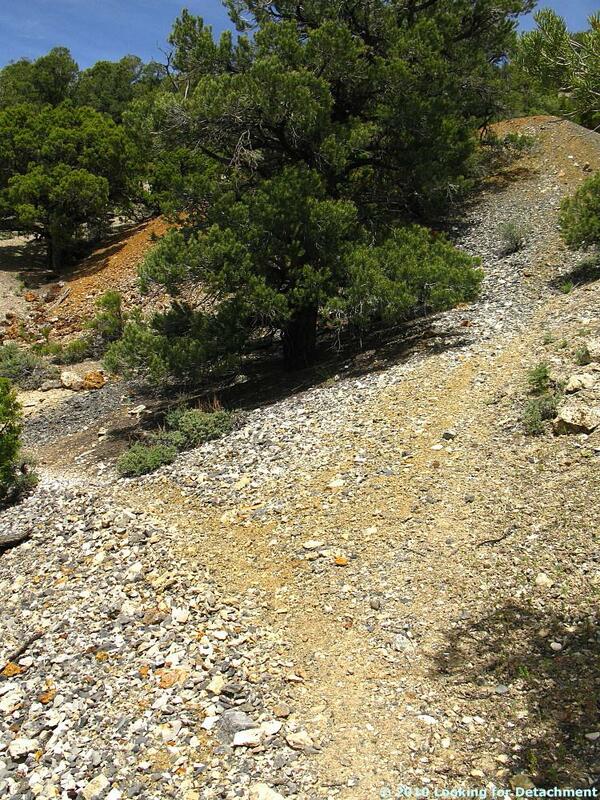 Additionally, there are other older landslides in the area, most notably the one sometimes called the Silver Reef landslide, which is just east of the Blackhawk. Also, many additional breccias and possible landslide deposits have been mapped in the area. The geologic maps (Big Bear City quad and Cougar Buttes quad) are really awesome, especially if you know how complex the geology really is. 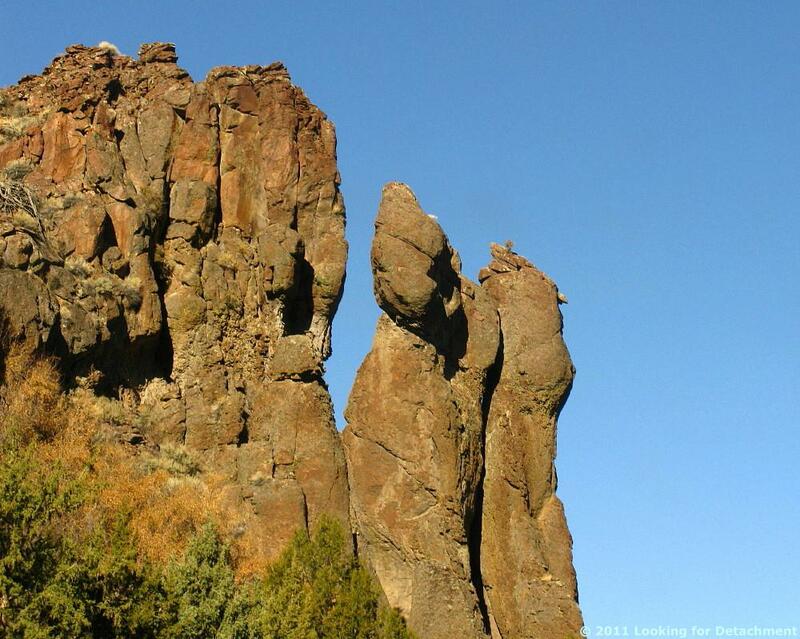 There are numerous thrusts from the south, placing brecciated rocks of multiple ages on usually older rocks. In at least one place, bedrock has been pushed over one of the older breccias. Or is it really bedrock? Back in the 1980's, I mapped a large area of Blackhawk Mountain and surrounding areas at 1inch = 500 feet. 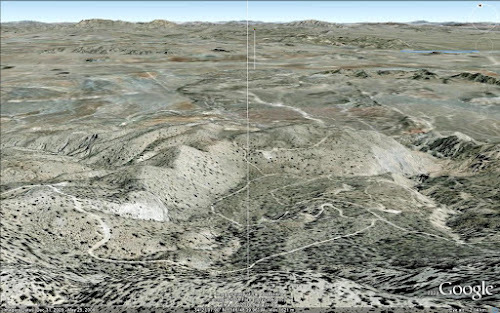 I found, and so have others working in the nearby northern slopes of the San Bernardino Mountains, that if you start at the top, clearly in bedrock, sometimes brecciated, and map down, then you will be tempted to map bedrock until you are clearly in landslide debris. If you start from the top and map up, the opposite is likely to happen. Aerial view with annotated geology. The reason for northward thrusting is the bend in the San Andreas fault, causing the westward, southward side to be pushed northward, breaking over the steepened San Bernardino Mountains in low-angle faults. The thrusts cause brecciation, and the steepening, brecciation, and low-angle faulting predisposes the area to massive sliding. Stratigraphy is somewhat retained in the slides, and gold has been mined from nicely pre-broken landslid rock of the Blackhawk Slide. Silver occurs in somewhat disturbed veins in the Silver Reef Slide. In the annotated view, the Younger LS deposits (yellow) are Holocene or late Pleistocene; the Older LS deposists (turquoise and pink) are middle or early Pleistocene; the Moderately Old LS deposits (purple and orange) are middle or early Pleistocene; the very old debris flow fan deposit (purple) is middle or early Pleistocene; and the QT Breccias (blue and red) are Pleistocene or Pliocene. Nice! The annotated map/image at the end really help clarify the messyness of interpretation here. And it doesn't even show the really screwed up bedrock! Great images, Silver Fox! I'm going back and forth between the annotated image and the non-annotated ones, looking at the landscape differently each time, picking out the details. I like your note about the effect of where you start mapping - good to remember! over 1 year ago Josiah Gardiner liked this post. over 1 year ago Andrew Hammonds liked this post. over 1 year ago Emil Dibble liked this post. In contrast to what I said in a recent aside about prospectors v. geologists, at least one well-known ore finder, John Livermore, preferred to be called a prospector, according to Andy Wallace, his longtime partner at Cordex, and also according to himself (see this oral history). Exploration geologists who are successful at finding ore deposits are often referred to as ore finders, a distinction I often reserve for those who find more than one ore deposit. I've known several geologists who have made one significant discovery in their lifetimes (so far); some of these geologists have not necessarily, for whatever reason, gone on to find another (so far). Many (several?) of us have found a small to sizable geologic resource or a small ore deposit. 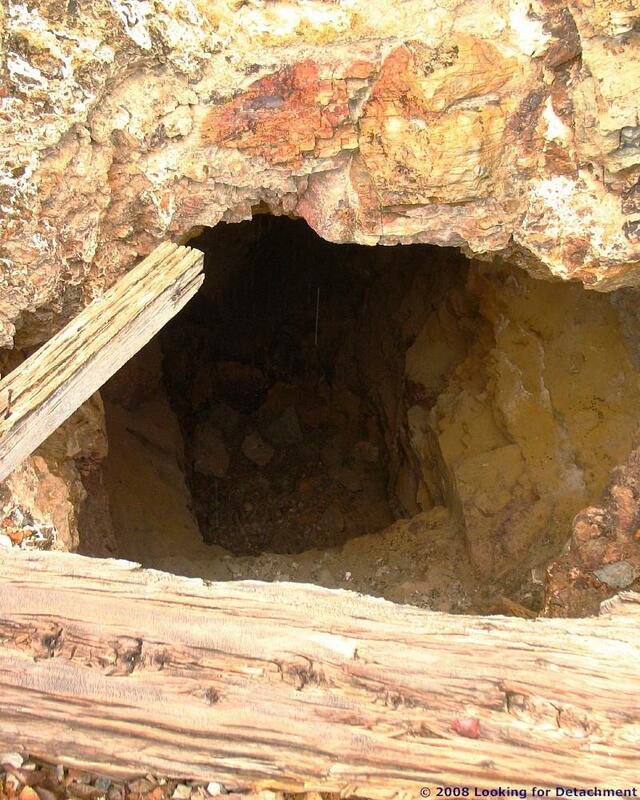 (An ore deposit is, by definition, a mineral resource that is economically viable and therefore minable. Some deposits or resources will become economic in the future; some never will be.) Some of us have found ore deposits that then went sub-economic due to changing prices, costs, requirements, or demands; these resources may still be sitting out there waiting to be mined in future (I know of at least one). According to Andy, many exploration geologists like to think of themselves as prospectors, whereas I usually think of prospectors as the original oldtimer with a burro (a 4WD pickup or jeep these days): a man or woman who is usually non-geology educated, who you find out and about banging around on rocks, crushing chunks of suspected ore to pan for gold, black-lighting in the night for tungsten, always out in the field looking for the next find. Most of the prospectors I've known have been men, but as I've mentioned before, I've known at least two prospecting women (non–geo-types). Andy also describes a true prospector as having a different mindset from the average exploration geologist. He ends up describing a quality I've also heard referred to as "eternal optimism." An eternal optimist gets up every day sure that today they are going to find "the big one", today they are going to strike it rich: today is the day. This optimism, when I've seen it, is maintained constantly despite all previous indications that maybe today will not only not be the day, but maybe the goal won't be reached at all, the goal being to find that next big ore deposit — find a mine, as we often say. Andy is right in asserting that most exploration geologists do not believe that "over the next hill, they’re going to find the next big one." We do, however, have to maintain hope (or we would have given up on the business a long time ago); but for the most part, we maintain a hope seasoned by a dose of reality. The prospector mindset Andy describes, or the mindset of the eternal optimist as I'm describing it, is a mindset that is sure in face of setbacks. Fact is, the only eternal optimist I've worked closely with did not even see setbacks and was always sure that this current prospect or property would be the one, that this current drill hole only needed to go just a little deeper, or that the next drill hole would strike ore.
"Something about the prospecting instinct is different from the geological ability. 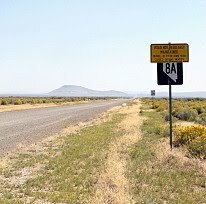 A lot of geologists are not really very good prospectors . 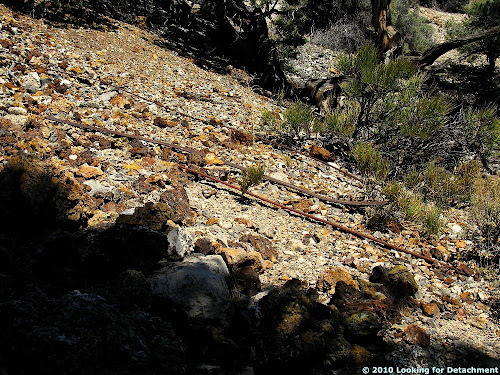 They get very interested in the rocks, and sometimes they don't have the one-track mind of finding mineralization. And prospectors, without a college degree, can often be in some ways better than geologists, because they are very persistent, and they get interested in an area, and they'll go over it with a fine-tooth comb." There may be a difference between what we used to call eternal optimism and what John Livermore exhibited. The eternally optimistic viewpoint we watched in action daily, trip after trip, year after year, was not entirely based in reality. 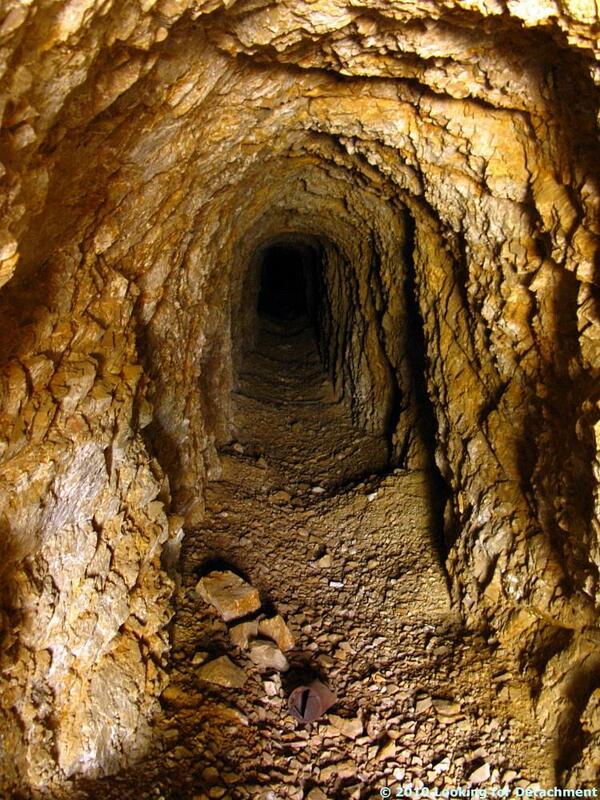 What Livermore went out and did, repeatedly, was turn unknown and unlikely prospects into active mines, and if not into mines, at least into known resources that became mines within his lifetime. I'm not sure how to spot the difference in the two highly optimistic, highly positive and hopeful outlooks. I do know that the one is grounded in economic reality, the other may not be. Both mindsets have the persistence of the true prospector. Read more about John Livermore, who died last month, here. Thanks to him for helping to sponsor my thesis and many others. This is actually Masterminds - Fool's Gold (1 of 3) on YouTube, not nearly as good (or as accurate, IMO) as History Channel's "Turning Points of History": Jungle Fever, no longer on YouTube. I have no idea how long this video will remain up. Also see Fool's Gold parts 1, 2, and 3, provided by B.C. Prospectors for educational purposes; I don't know how long these videos will remain on YouTube, either, and they are not embeddable. In case they go down, check out this re-enactment. Bre-X: Gold Today, Gone Tomorrow (1st edition, 1Nov1997) is a book I highly recommend reading for the story itself and also for some background into the way things work (or used to work — some things have changed) in the mining/exploration industry. I found that a character list at the beginning of the book would have been useful. The book got into more than one mining scam story, mostly for background about the people involved in Bre-X, and also just as general background about what mining scams are all about (see a list of a few other scams here on page 16). 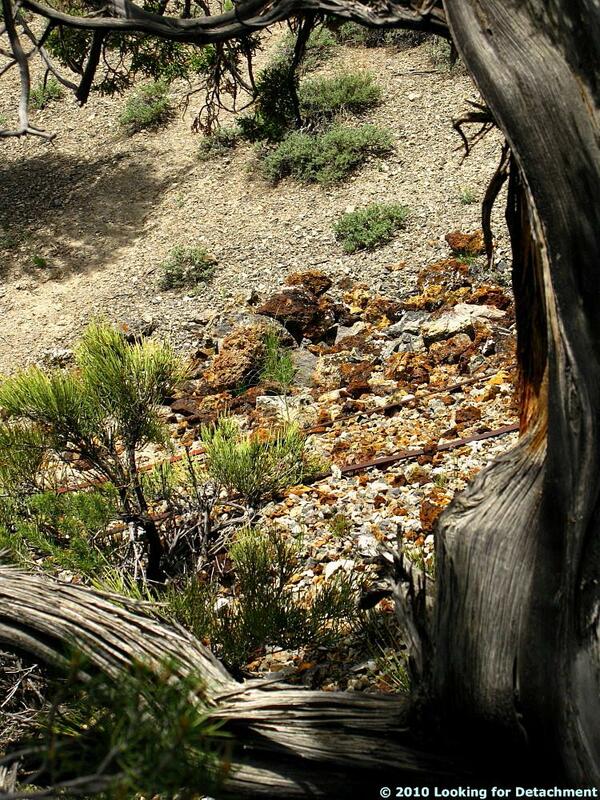 Also read this review of the book by another Nevada explorationist. 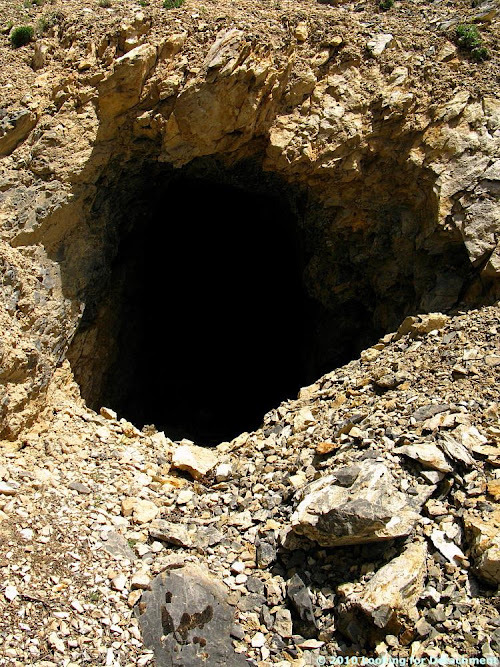 I've seen a few would-be scams in my day, but they were fairly minor and easy to spot, and aimed at myself or other grass-roots and early stage explorationists looking for the next best property to pick up, drill, and turn into a mine. I was out of the business when the Bre-X scandal hit (and when its stock price was going from nearly nothing to its peak in early to mid 1997). 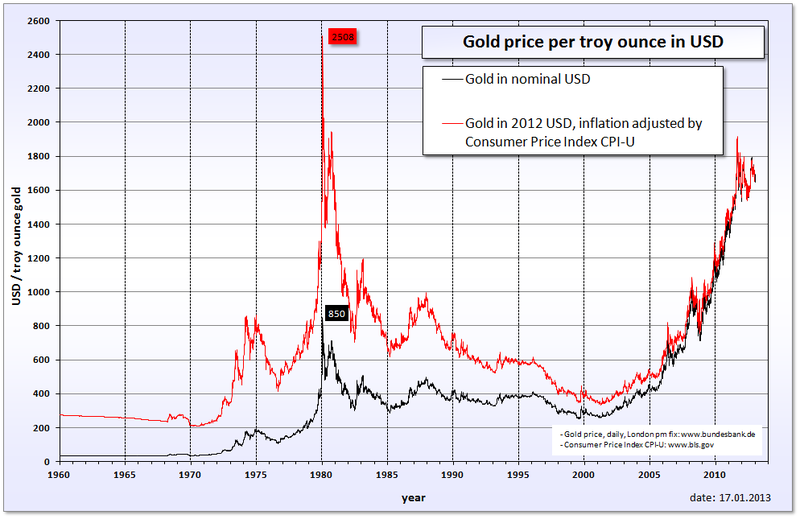 The price of gold already wasn't what it had been in the 1980s; it had been sliding gradually for quite some time. by Realterm, from Wikimedia Commons. I went to the Northwest Mining Association meeting in Spokane in December of 1997, thinking to get back into the business after a hiatus of some few years, and found the place in a kind of hectic chaos. Funding for junior mining companies was already starting to dry up, even though the price of gold hadn't quite dropped to its lowest recent low (which it would on 20Jul1999, when it hit just below $253 USD). I had said at the '97 mining convention that if the price ever went below $250, I'd buy (oh well, I'd probably be set for life now!). 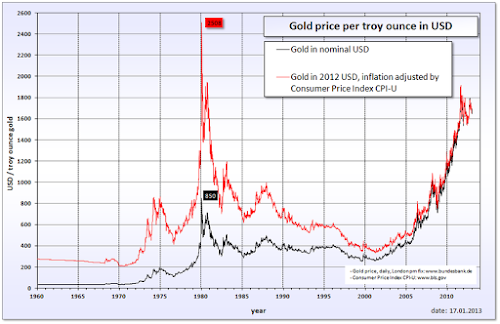 Funding for companies and projects bounced back slowly as the price of gold began to rise again into the early 2000s, and after implementation of Canadian National Instrument 43-101 (called "the NI 43-101," "the NI," or "the 43-101"; also see Wikipedia), which — although aimed primarily at properties with economic resources or reserves — became a set of standard procedures to follow for any grass-roots or later-stage exploration property one had even vague hopes of getting promoted to a Canadian or American stock exchange. I'm not sure that getting funding has ever been quite the same since Bre-X, but the 2008 market and commodities crash has also had a negative effect in more recent years.